Instead of immersing himself in the illegal drug culture, when Steven Dowell completes his state prison sentence on a variety of drug charges, he plans to work as a diesel mechanic at his father's shop in Hardin County. "I chose this class to better myself in every way I could, and to better prepare myself for the community, for myself and my family," Thomas Scott, an inmate at Simpson County Detention Center said. Simpson County is on the forefront of a possible development that could save the state millions of dollars and help former inmates start fresh new lives. Just because a person is incarcerated for nonviolent crimes doesn’t mean he or she can’t one day become a contributing member of society. Southcentral Kentucky jails rank much lower in pretrial detention rates than their counterparts in other areas of the South, but many are still higher than national rates. 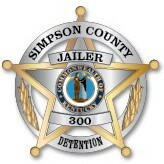 A recent report from the Vera Institute of Justice shows the highest jail incarceration rates occur in America’s more rural counties where pretrial detention is one of the main drivers of “jail overuse.” While county jails in Warren, Hart and Logan counties have pretrial detention rates higher than the national average, Simpson County Detention Center’s rate is much lower.